Costa Rica has amazing natural features and the tranquil countryside is ideal for mountain biking in Costa Rica! You'll ride on trails that run through farmlands, close to the jungle and along the base of mountains and hills -- this Arenal Volcano mountain bike tour helps you explore Costa Rica's diverse natural environment with the help of your knowledgeable Costa Rica bike guide. 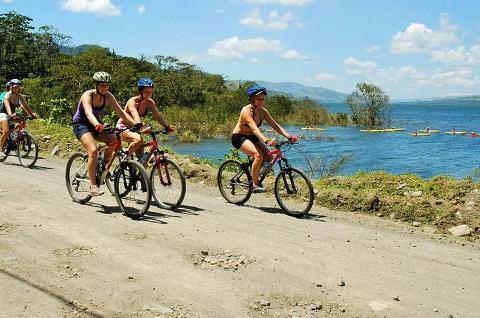 As you bike along Lake Arenal at the base of the Arenal Volcano, you'll pass rainforest, rural farmlands, and wildlife. You'll have the chance to see different kinds of monkeys, toucans, coatimundis and more! 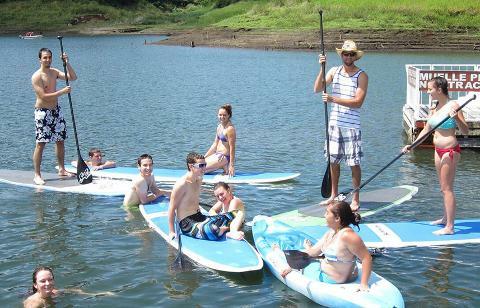 Make a stop along the way and have a nice snack while cooling off in a river or in Lake Arenal. 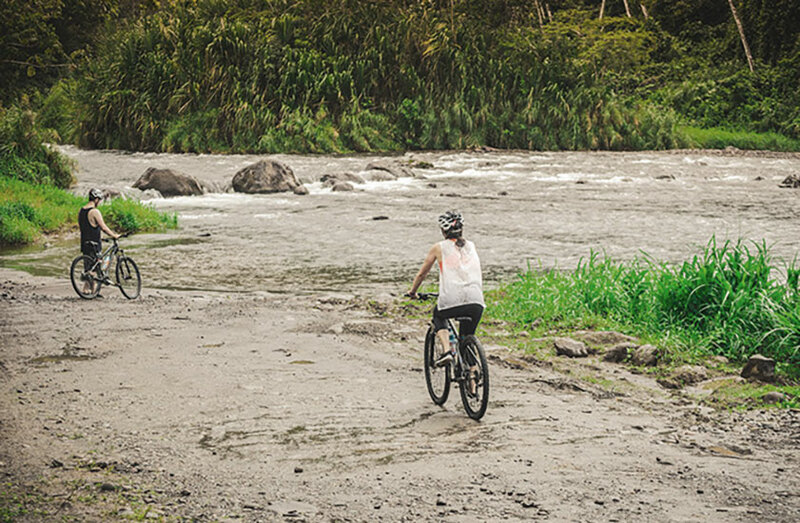 You will bike on a gravel road connecting Lake Arenal to the Arenal Volcano National Park which stretches 8.3 miles each way. 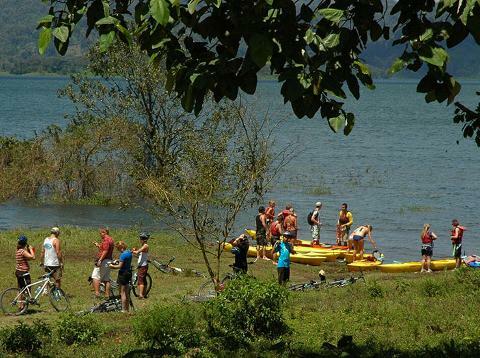 After pedaling, enjoy a delicious picnic lunch while relaxing before heading to Lake Arenal. Stand Up Paddling (SUP) looks exactly as it sounds: you stand up on a large, wide, super buoyant board (similar to a surfboard) & use a long paddle to move yourself along. You'll feel like you're walking on water! If you're a first-timer, no worries! 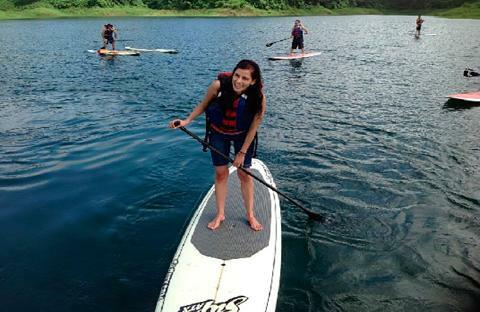 This activity is perfect for all adventure enthusiasts! Afterwards, be transported back to your hotel in our vans equipped with FREE WiFi and be sure to share your exciting memories with your friends and loved ones!